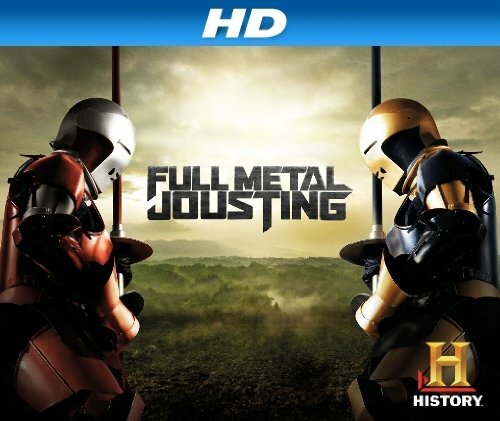 (S0102) I have to say that I’m relatively enamoured with History Channel’s new reality competition, Full Metal Jousting. I’m a big fan of the medieval mayhem that is two horse-bound men barrelling towards each other with ten-foot lances – I just never thought it was still a real thing. As it turns out, you don’t need the magic of Hollywood to recreate the jarring joys of the joust; even with blunted tips and steel suits of armor, there’s no escaping the inevitability of injury. Shane Adams, world champion jouster and host, continues to provide a knowledgeably nuanced analysis and commentary of the jousters and the competition in general. Even though the Red Team lost last week, Shane isn’t ready to write off Mike, who can still replace an injured teammate. Black Team, however, has the advantage of choosing the week’s competitors, and opt for their strongest teammate against Red’s weakest. Jack, a theatrical jouster of thirteen years, has the clear upper hand over horse-trainer, Jake. 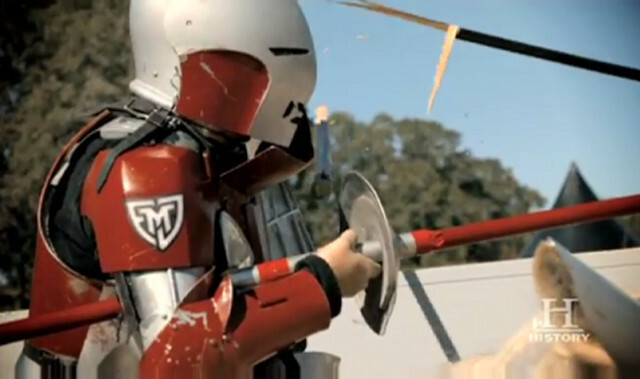 Jack’s training instills even more uncertainty in Red’s underdog, even gritting through a cracked molar from a shot to his helm. When it comes time to joust, however, it’s like seeing two different riders. In the first pass, Jake unhorses his opponent, prompting Mike’s mandatory doctor’s analysis, and risking disqualification by pushing the two-minute window he has to get back on his horse. While they each struggle to score a hit on each other’s Grand Guards, Jake is able to hold on to his first-round lead and emerges victorious for the Red team. So far the training has been relatively tame, easing everyone into the hard-hitting realities of jousting without making them soil their steel. The intensity is already on a rise, however, with inter-team bantering and peacocking that should hopefully lead up to some intense personal rivalries. We haven’t been force-fed the personalities in the opening two episodes like most other shows, so it’s as interesting to learn about each competitor’s personal and riding history in the week that they’re targeted for battle as it is watching them ride.